Colorful, captivating, mesmerizing. 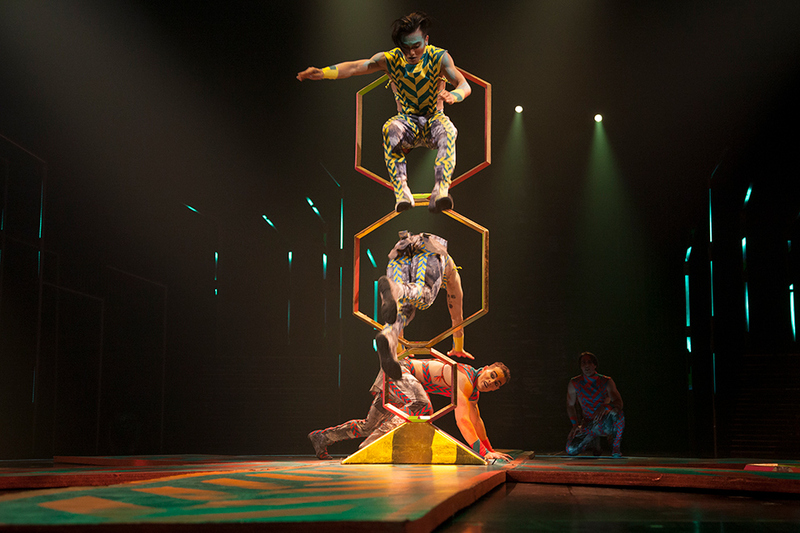 Cirque du Soleil’s newest show, VOLTA, features dynamic characters, stunning acrobatics, and daring feats of raw strength and talent. 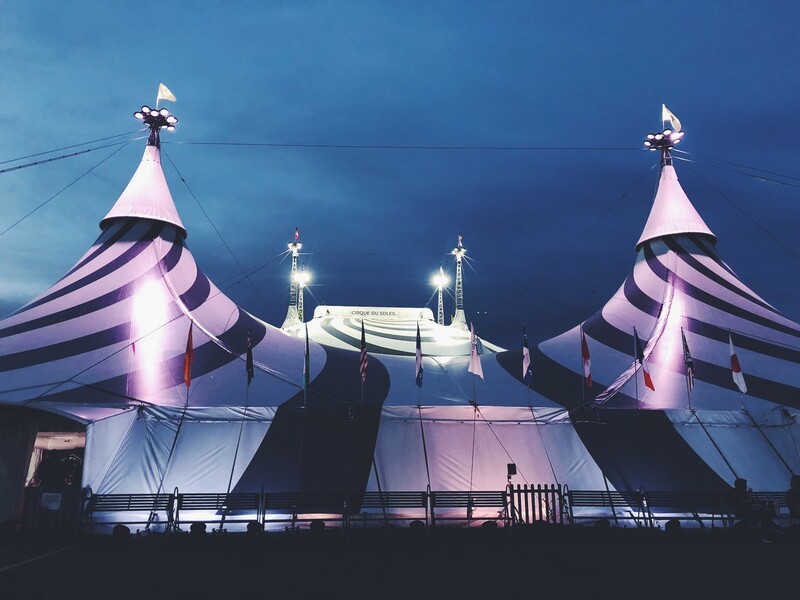 From the moment I caught a glimpse of the tents, I was instantly transported back to the first time I ever went to a circus as a child – running and skipping my way through the entrance of an enormous big top, hardly able to contain my excitement to see what wonders would be waiting for me to experience. I didn’t skip into the tent this time, but the excitement and spectacle of the circus still evokes a unique kind of child-like wonder, even as an adult. Grab a souvenir, a snack or a beverage, make your way inside and prepare to be “wooowed” (inside joke – you’ll understand if you go see the show). The show begins with a hilarious mime artist, entrancing vocalists, talented dancers and beautiful stage design. Weaving its way through these elements is the moving story of a young man, Waz, seeking to find his place in an often-lonely and digitally-saturated world. 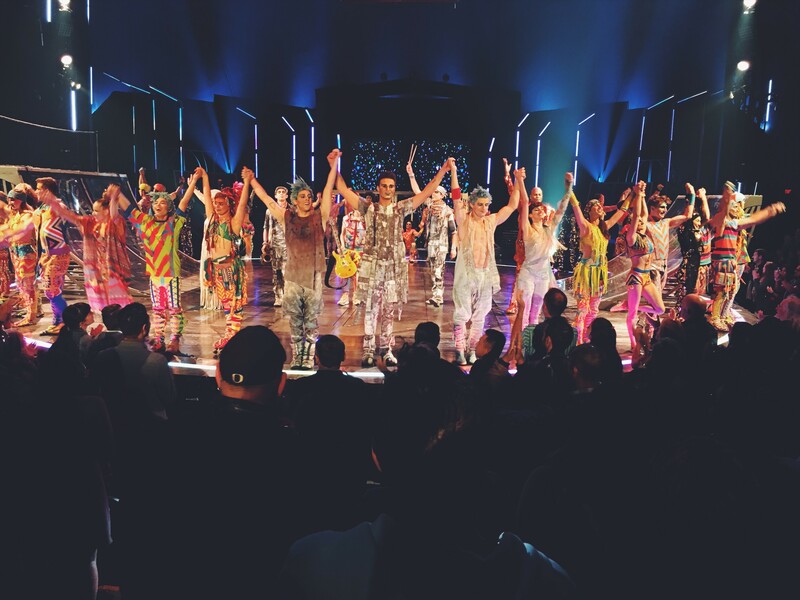 The universal message of searching for and discovering freedom and self-acceptance powerfully connects the audience to the story that unfolds throughout the entire show. 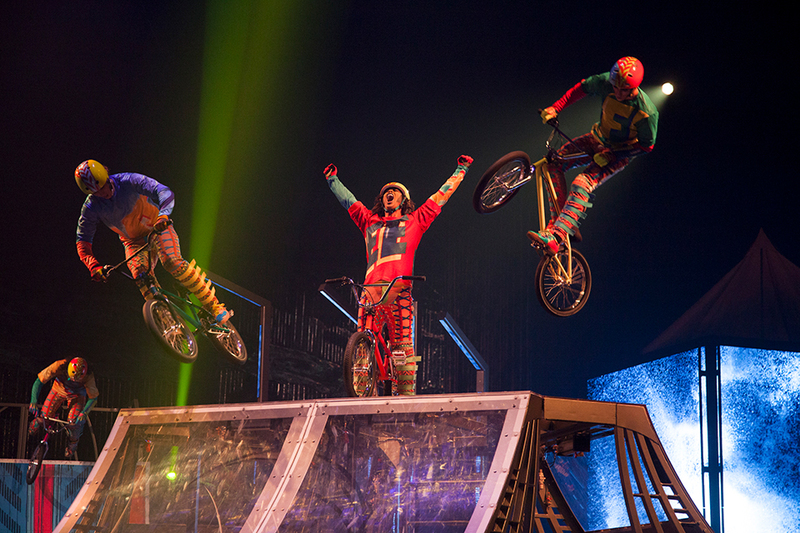 From rope-skippers and tumblers, to acrobats and BMX bikers, and a free-spirited rollerblader who spreads joy everywhere she goes, each performance displays incredible strength, creativity and courage. Colorful costumes and imaginative props create an other-worldly atmosphere as each artist tells the story of Waz’s triumphant journey. The most awe-inspiring performance of the evening for me was done by a “hair hanger” artist, which is exactly what it sounds like. As she spun and twirled and danced through the air hanging only by her thick ponytail attached to a steel cable, you could feel the tension rippling throughout the room with audible “ooh’s” and “ahh’s.” I realized at one point that my mouth was hanging open as I watched her – it was some combination of awe, disbelief, and maybe even a little bit of nerves on her behalf. After doing some research, I learned that these particular artists have tips and tricks for making their hair as strong as possible, as well as using special braids to attach themselves to the cable. You still couldn’t pay me enough to swing and twirl and dance from a cable 50 feet in the air, let alone a cable attached only to my hair! I left the performance that evening determined to do every ounce of research possible to learn more about these artists – where they come from, where they did their training and how they found the courage to pursue such a unique career and lifestyle. But as I began to do a little digging, I decided that I enjoyed the mystery even more than knowing every detail. 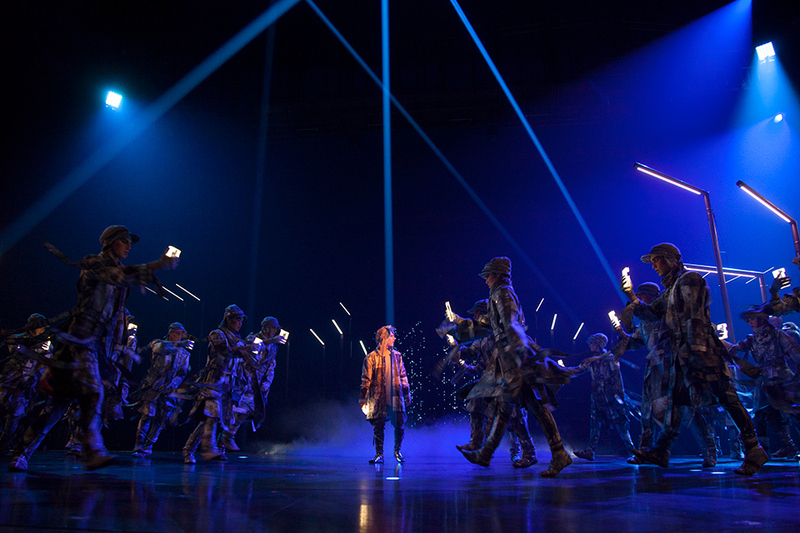 I want to keep that child-like wonder and remember the evening as the magical experience that it was – from start to finish, a breathtaking display of unbelievable talent, moving story-telling and visual artistry. Cirque du Soleil’s VOLTA is playing now through November 4 in King County’s Marymoor Park under the Big Top. Don’t miss out on the excitement and get your tickets now! VIP experiences presented by Hennessy Black, Behind the Scenes tickets, and Producer seats are also available for purchase. Addie Davis is the Senior Public Relations Coordinator at Visit Seattle. 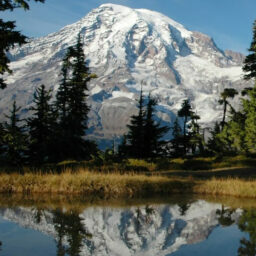 Born and raised in the Pacific Northwest, she has spent the last ten years soaking up the sights, sounds and beauty of Seattle. 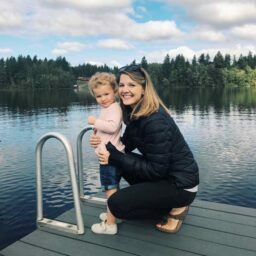 You can usually find her listening to and creating music, discovering a great new restaurant or hike, and spending time with her husband and young daughter. It’s nice to come across a blog every once in a while that isn’t the same out of date rehashed information. Wonderful read!